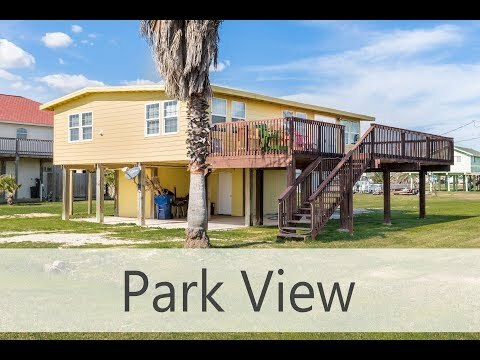 Park View is a cozy and cute little house that has a unique location right across from Quality Cove. This little cove is right off of the ship channel and is a prime spot for egrets hunting baitfish and other wildlife. There is also a kayak launch, walking bridge, observation deck, and walking trail to Jetty and Jetty Park. Jetty Park features a walk-over for beach access, great fishing, playground, public restrooms and paved parking. You are also within walking distance of the new City Splash Pad. If fishing is on your to-do list, there is a public boat ramp just down the road and tons of fishing spots all within walking distance. So there is a lot to do and see, all within a short walk of Park View. Inside is a main living area, sitting area, dining room, kitchen, three bedrooms, and a spacious bathroom. Outside is a large sun deck with water views, concrete area under house, grassy yard, water hose, and a short walk/drive to the beach.